Christmas is the season of giving and pets are not left out. The furry creatures deserve fun gifts as well. There are lots of gifts for dogs and cats on the market, but to pick the best, you must search for one that is best suited to your pet. 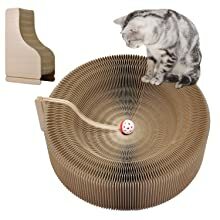 This turbo scratcher comes with a textured scratch pad to make it more realistic. The cat can easily shove it using its paws or nose. It may be a good option for cat owners who don’t want their cats to damage furniture. It is made with durable parts, and the scratchpad can be replaced when worn out. This pet rope may be a good option for chew games and play. It is designed with features that allow it to massage the gums and clean the pet’s teeth. It may also help stop the bad biting behavior. The pet rope is washable and made with natural cotton fibers to fight plaque. It comes with a reusable bag and has many colors for an inquisitive pet. Dogs need mental stimulation too. One gift that can stimulate them is the Kong Classic Dog Toy. It allows dogs to satisfy their instinctual need for chewing. The toy also has bounce games of fetch and can be stuffed with snacks, treats or Ziggies. This toy is suitable for average chewers. This rotating butterfly has an anti-skid base with a skidproof button to make it stable and prevent accidents when the cat is playing. It comes with lifelike butterfly replacements to keep the cat entertained. 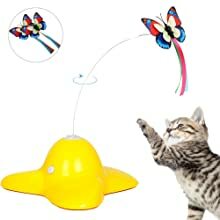 The toy has a 360 degree spin for the butterfly that spin even when the cat claws at it. 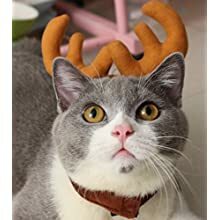 Pet antlers are also great gifts for the season. They are made of plush fabric so that it won’t cause any irritation. The accessory also comes with a Velcro strap to keep it in place. It can be washed by hand as well. This gift may be ideal for family photoshoots, holiday parties or even play dates. 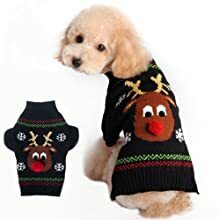 This sweater is suited to small and medium-sized dogs. 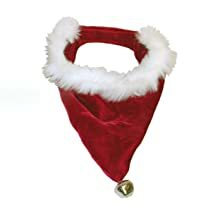 It is stylish and keeps your pet warm during the festive season. It is designed with burgundy red and chic cream color to match the season. It may be a great option for holiday parties during the season. Be sure to check the sizes before buying it for your pet. This cat tree may be the perfect gift for your curious cat during the Christmas season. It is built with tough pressed wood, covered in plush faux fur and sisal rope sections to provide a safe place for your cat to scratch. It comes with a hammock, a cathouse and a cute perch for the cat to rest in. Holiday-themed sweaters are always perfect gifts for your little furry friends. 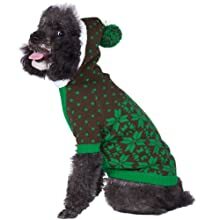 The sweater is fun and comes in different sizes from small to extra-large to fit all sizes of dogs. It also has different holiday-themed designs to select from. You can pick one that suits the personality of your dog. Cats love to catch everything that moves around them. A cat catch is a perfect gift for an inquisitive cat. This device comes with a battery that is easy to change. 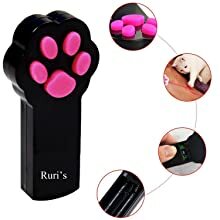 It also comes with a natural design of a pen or key to keep the cat busy instead of a plum shape. What’s a holiday without a fancy scarf? With the ZippyPaws scarf, your pet can be stylish during the holiday season. 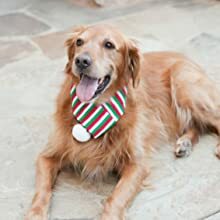 The scarf is designed to keep your pet warm, and it has a simple loop closure that makes it easy to wear and take off. The product may be more suitable for large dogs. This cat scratcher lounge has a dual purpose; it serves as both a lounge and a scratchboard for your pet. It is built with eco-friendly materials that can withstand scratching. The scratcher can hold weight of up to 10kg. 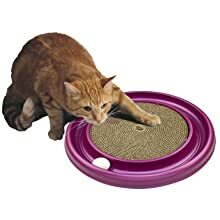 It comes with catnip to keep the cat interested in the scratcher. Squeaky toys are excellent gifts for dogs. This Holiday Squeakie from ZippyPaws may be a perfect gift. It comes with three Squeakie buddies known as Reindeer, Santa and Snowman and a blaster squeaker for each buddy. 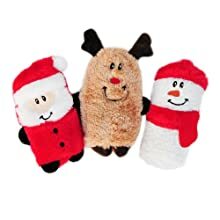 The toy doesn’t have any stuffing to minimize mess and is excellent for small and medium size dogs. The Gulpy Water Dispenser is a great holiday gift for little dogs. It is convenient and easy to use. Just squeeze the bottle and the water will fill the tray for the puppy to drink. The bottle is also leak-proof to prevent loss of water. The tray can be used with regular water bottles as well. 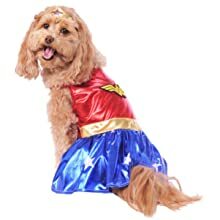 Your pet could be a superhero with the Rubies Costume. It comes with a headpiece and a printed costume dress. It is suited to medium-sized dogs such as Maltese, pug, French bulldog, Jack Russell terrier and Boston terrier. All characters are officially licensed by DC Comics and Warner Brothers. This catapult feeder is easy to use. It may be an ideal gift while training your puppy. The device promotes interaction between a pet and its owner. It is made with non-toxic material and allows you to see the food. The food is ejected when you push the button with ease. This Siberian Husky shatterproof ball may be a perfect pet gift for the holiday. It is made of high-quality materials with a realistic face for every pet. The ball is also packed in a nice box, and this makes it good for gift giving during the Christmas season. This bow tie for dogs/cats is made with handmade polyester and comes with a buckle that is easy to wear and close. It can be used by cats, dogs or any other pet. The bow tie may be perfect for parties, weddings or even holidays. It is also great for photoshoots. 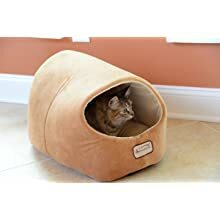 This cat bed is made with soft velvet and has a skid free base. It is also waterproof to prevent messes in the bed. The bed is machine washable and has a polyfill to provide maximum comfort for your adorable pet. 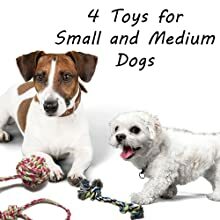 It is suitable for cats and small to medium dogs. A great squeaky toy is one that blends into the environment and keeps the dog interested. The Kong Air comes close to this requirement. 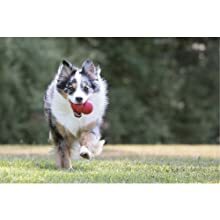 It combines two dog toys, the squeaker toy and the tennis ball for catch. The toy was built to exercise the dog’s teeth, and it comes in different colors. Pet tags come in handy to help identify your pet if it goes missing. This pet ID is ideal for both dogs and cats, and it can be customized with 4 lines. You have the option of having pink, blue, red, green, silver, gold and black colors for the custom text. This plush squeaker toy is a durable gift for dogs. It has multiple squeakers that make it more interesting for pets. When one breaks, the dog will have five more squeakers to play with. 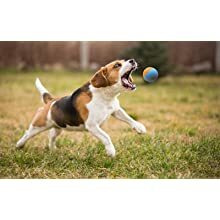 It is round and Frisbee-like, and this may be ideal for a dog that loves to play catch. This Nylabone chew toy is flavored with bacon to keep the pet interested in the bone. It has a textured design to give it a natural appearance. It is available in the extra-large size and is ideal for dogs who are over 50 pounds. It can withstand pressure from powerful chewers. 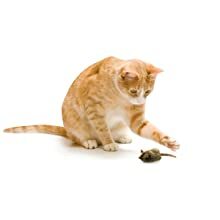 This Mouse Hunter cat toy comes with a patented electronic mouse sound that mimics a live mouse. 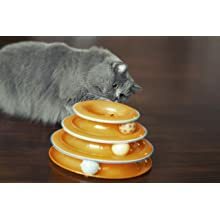 It may be a good option to help keep your cat stimulated physically and mentally. It can also help awaken the cat’s natural instinct when it comes to hunting. The cat toy comes with catnip as well. 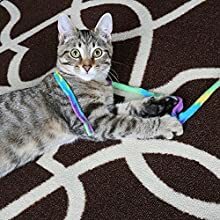 The Cat Dancer – Cat Charmer teaser toy is an interactive toy that is built to help your pet exercise its body and mind. It has a clear polycarbonate want with colorful fabric to attract pets. The Cat Charmer toy offers aerobic exercises that are safe for both cats and kittens. This cat tower offers three levels of fun ball spinning for your furry friend. The tracks have three colored balls for an interactive playtime session. The game stimulates the cat’s senses and stays put when the cat plays with the balls. It offers physical and mental exercise and also channels their hunting instincts. This plush toy offers an interactive puzzle challenge and keeps the pet occupied and entertained for as long as possible. The toy comes with three squeaky bats and is ideal for small dogs and medium sized dogs. It may be a great gift for a play mutt because it is quite durable. 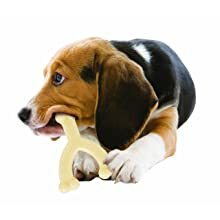 The Chew Wishbone may be a perfect gift for the most aggressive chewers. This bone also discourages destructive chewing. It is built with a tough nylon to keep powerful chewers busy. The bone can also help control tartar and plaque as well as clean the teeth. This product is suitable for dogs that are up to 35 pounds. This holiday-themed sweater may be a perfect gift for your small to medium-sized dog. It is made with acrylic material, and this makes it a lot easier to care for. Its hoodie rim is made from polyester for durability. The sweater also has a harness hole to make it easy to take your puppy out for a walk. This refillable catnip toy offers a fun and new way for your cat to play. It has a hidden compartment to add catnip when the old one is exhausted to make the toy seem new to your pet. Each package comes with a vial of Kong catnip, and you have lots of colors to choose from. This is another unique gift for your pet during the Christmas season. It is suitable for large dogs and has a soft plush fabric to prevent irritation to the pet. It comes with an adjustable Velcro strap to hold it in place while the pet takes pictures and stuns at the party. These colorful rubber balls may be perfect for dogs that love to fetch. It comes in a three in one package of three multi vibrant balls. The balls are made with natural rubber to prevent accidents. 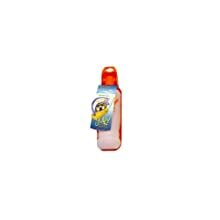 It is BPA free and quite easy to clean. It can be used outdoors and even in pools. 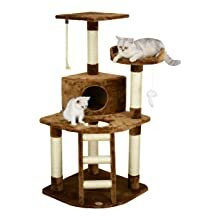 This cat tree is wrapped in a soft plush fabric with long hairs to keep your cat comfortable as it plays. It also has natural scratching posts that are wrapped in sisal with a hammock for extra support. The cat tree has a dangling pom-pom toy to keep your cat interested. 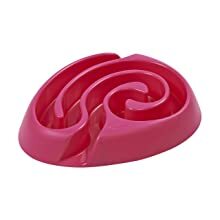 This dog maze bowl is used to place treats to get your pet to chase the food until they can catch it. The dog can see and smell the food, and this motivates it to find all treats until the bowl is empty. 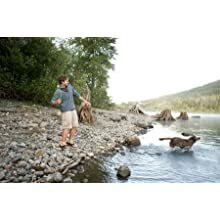 It is a fun way to educate and exercise your dog. Your pet can be a lion too with the Lion Mane Wig. The wig is made from fur and polyester and is suitable for small dogs and regular size cats. It is durable, soft and also washable by hand. It may be ideal for photo shoots, cosplay parties and can double as a sweater. This catnip toy is made with eco-friendly products to make it safe for cats. The size also makes it ideal for cats because it’s easy to grab and kick. The toy has no fillers but is stuffed with organic catnip. Only vegetable-based dye is used to make it non-toxic and natural. If you want to get your pet a tag for identification, this may be a good product. It is durable and made with stainless steel. It is engraved with laser, and this makes it permanent, clear and attractive. It offers up to 8 lines of text personalization on both sides of the tag. This toy is made of lightweight, flexible plastic, which grasps the ball and releases when you swing. You can throw fast and not need to bend to pick a ball. It has an ergonomic handle for control and comfort. It may be an ideal gift for dogs that need exercise. This cat tunnel has three spacious tunnels, a peephole, crinkle crackle paper, and a bell toy. These options offer self-amusement and exercise to your pet. It is built with tear-resistant polyester material wrapped around the steel frame for safety. It can withstand a heavy scratcher’s antics and is also portable and collapsible. This dog treat is a blend of real bone marrow and a crunchy biscuit to keep your pet healthy and strong. It is a unique treat for training your dog. It was formerly known as Original Dog Treats in the past, but it has been rebranded as MaroSnacks Dog Treats. If you have an enthusiastic dog that loves to tug and grab fingers while playing, you may find this toy interesting. The toy has convenient rope handles that are separated by stuffed moose. It may be a good toy for exercising your pet as well. Your adorable furry friends deserve to open presents during the holidays. You have lots of options to choose from. Be sure to pick a gift that matches your pet’s personality.